Fire Below Deck (Feuer unter Deck) was first screened in theaters in 1982, and then only very briefly, but it had been scheduled to be released in 1977. This happened from time to time in East Germany when a film touched on some hot-button topic that either upset the authorities, or discussed something that was sensitive at the time (see Sun Seekers). In the the case of Fire Below Deck it wasn’t the subject matter, it was the star: Manfred Krug. Initial filming of the movie was completed in 1976. While the film was in post-production, the popular communist folk singer, Wolf Biermann, a West Berliner by birth, was expatriated for “gross violation of civic duties,” which is to say, he wasn’t willing to toe the SED line. In protest, a group of actors, poets, and writers signed a letter of protest against the action. In the following days, more artists joined the protest until there were over 150 signatures in all. Rather than listen to the complaint, the SED came down hard on the protesters, marginalizing them in any way the could, and, where possible, eliminating their sources of income. Several applied for exit visas immediately and moved to the west. One of these was Manfred Krug. By the time Fire Below Deck was ready to screen, Krug had obtained his exit visa and would soon be moving to West Berlin. The authorities ordered the film shelved, but that didn’t help them with all the other films starring fellow protesters that were already appearing on television. Eventually the film was shown on television in 1979, and then, finally, released to theaters in 1982. In Fire Below Deck, Krug plays Otto Scheidel, the captain of the last coal-powered paddle-wheel riverboat on the Elbe. His girlfriend, Carola, nicknamed “Caramba,” is fed up with playing second fiddle to his boat and finally calls it quits. When the old riverboat is taken out of commission and turned into a floating restaurant—run by Caramba, just to add to the complications—Otto finds himself cast adrift in a world that doesn’t suit him. After witnessing two barges get stuck in the sand at a low tide crossing, and seeing that no other boats can come to their rescue, Otto has an idea: With its shallow draft, his old riverboat could get closer to the stranded boats than any others, and pull them to deeper waters, but first he has to get rid of all those pesky diners filling the boat. The basic plot structure of this story and the romantic interaction between Otto and Caramba hearken back to the films of Howard Hawks. 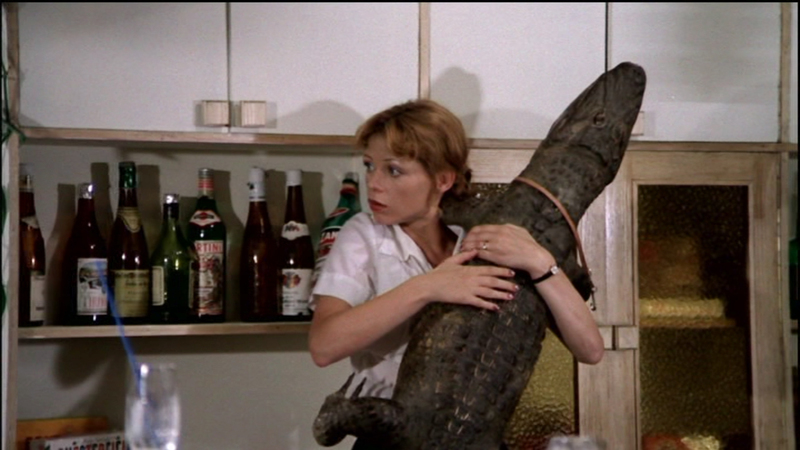 There’s more than a little Grant/Hepburn and Wayne/Dickenson in these characters.1 Caramba does everything she can to keep Otto from destroying her new restaurant, Otto is just as determined to get the boat back in action. What follows is a war of wills between the single-minded Otto, and Caramba, who just wants to save her restaurant from destruction. Fire Below Deck is directed by Herrmann Zschoche, who seems to be channeling Gottfried Kolditz (the director of Midnight Review and Beloved White Mouse). This film is much more antic than Zschoche’s introspective Seven Freckles, Swan Island, and Solo Sailor. Fortunately, the controversy over Fire Below Deck didn’t harm Zschoche’s career. He went on to direct Seven Freckles—the film for which he is best remembered—the following year. Star Manfred Krug needs no introduction here. He was one of the most popular actors and singers in East Germany. While most others East German actors who immigrated to the West suffered a fallow period without work. Krug hit the ground running. Producer Georg Feil was casting for a new TV series about long-distance truckers called Auf Achse (On the Road). 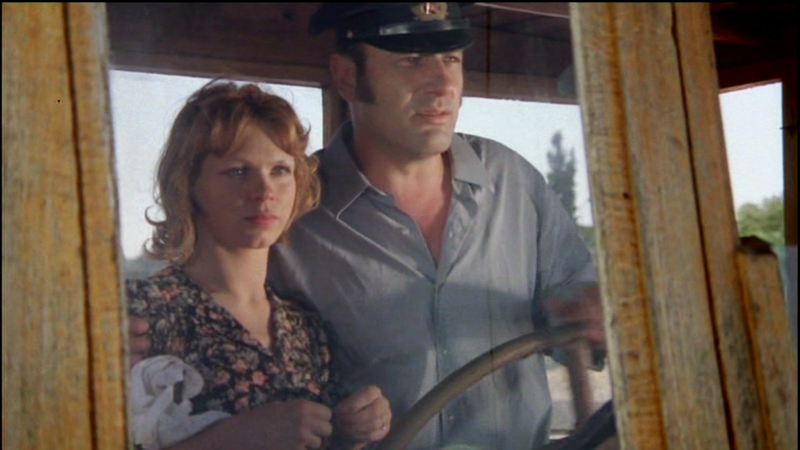 Feil wanted actors who could actually handle a big rig, and Manfred Krug, with his blue-collar, East German background, was custom made for the part. The series was a huge hit and made Krug as familiar to the West German audience as he was to East Germans. He later made splash as the lawyer Robert Liebling in the TV show Liebling Kreuzberg, and as chief detective Paul Stoever in the ever-popular crime drama Tatort. Had it been released when it was scheduled to, Fire Below Deck would have been Renate Krößner’s first starring role in a feature film. Krößner had appeared in a few movies and TV shows prior to this, but usually in smaller roles. After a memorable turn in a secondary part in Until Death Do You Part, it was Konrad Wolf’s Solo Sunny that finally put her in the spotlight. For that performance, she won the Silver Bear at the 1980 Berlinale Film Festival. Not particularly happy with the way things were going in East Germany, Krößner and her long-time partner Bernd Stegemann applied for exit visas repeatedly, which they were finally granted in 1985. She has appeared in many movies and television shows since the Wende, most notably in Go for Zucker (Alles auf Zucker!) in which she plays the role of Zucker’s partner-in-deception, Linda. In 1998, she was reunited with Fire Below Deck co-stars Manfred Krug and Fred Delmare for an episode of Liebling Kreuzberg, and with Krug again on Tatort. Originally, the film was intended to open the 1977 Sommerfilmtage (Summer Film Days)—a sort of mini-festival of DEFA films that screened in towns all over East Germany—but by the time summer rolled around Krug was no longer a citizen of the GDR, so the film was pulled. It first screened on East German television in 1979. The television schedule was already packed with films featuring Krug and the many others who were now no longer welcome at DEFA, so one more Krug film mattered less here. It eventually got its theater premiere on August 16, 1982, but then only very briefly. It showed up on West German TV in 1988. The film received good reviews, especially for Krug’s and Krößner’s performances. DEFA Library page for the film. 1. For a in-depth look at male/female relationships in the films of Howard Hawks, check out Molly Haskell’s Masculine/Feminine essay in Film Comment.